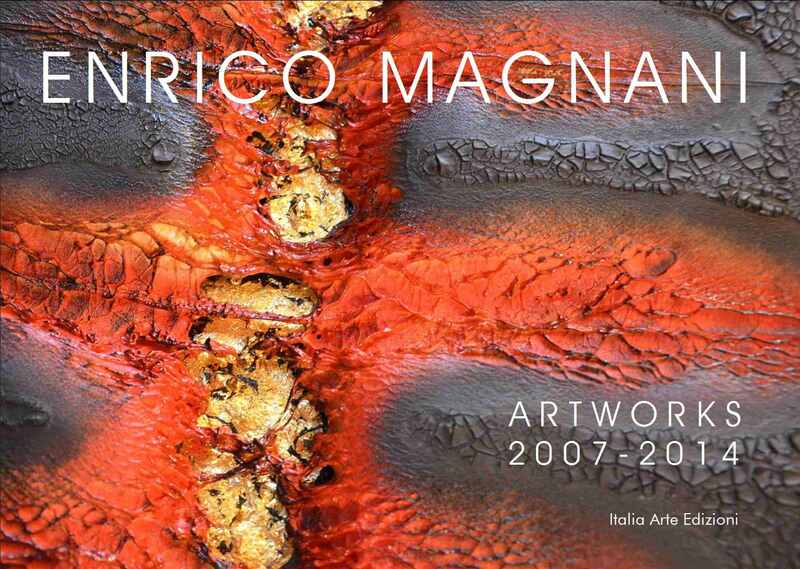 The catalogue provides a basis for approaching the abstract work of Enrico Magnani, a path through a selection of 62 artworks grouped in collections, goes through the last eight years of Magnani’s artistic research since, between 2006 and 2007, it took place the transition from figurative to abstract painting. Along with the images of the works, many details and photographic close-ups help the reader to grasp the essential materical and three-dimensional component on which is built the work of Magnani. The book takes the form of a wide and comprehensive monograph collecting works on the archetypal symbols, the 5 Elements, the Chinese oracle I Ching, the Ouroboros, and the alchemical Great Work; a work absolutely universal and timeless, inspired by ancient traditions that since the dawn of time are part of the cultural baggage of all humanity. Through the photography of Kerstin Petrick and the texts by Beatrice Barbalato, Cesare Carbonieri, Guido Folco, Florence Isaac, Mauro Ruggiero, and Paolo Turati, this edition seeks to know, in addition to the work, also the artist in his complex inner and outward journey. Researcher, in the broadest sense of the term, Enrico Magnani was not satisfied to explore the mysteries of matter through scientific research, but he tried to go further, going through the soul of the art and the symbolism of the spirit, towards the unspeakable.